Our deluxe single-speed men's/unisex cruiser bike offers a comfortable and fun ride with a natural, upright seating position, wide handlebars, soft seat, and balloon tires. It also has aluminum wheels and coaster brakes for easier pedaling. Comes with a free helmet, lock & chain. Sorry, No Beach Use. 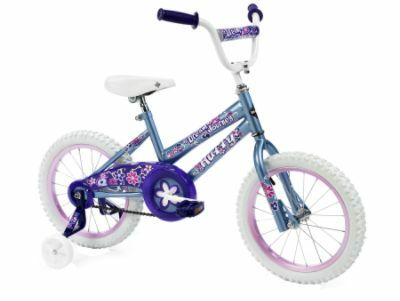 Our deluxe single-speed women's cruiser bike offers a comfortable and fun ride with a natural, upright seating position, wide handlebars, soft seat, and balloon tires. It also has aluminum wheels and coaster brakes for easier pedaling. Comes with a free helmet, lock & chain. Sorry, No Beach Use. New Lower Price! Girls will love pedaling around on this classic 16" bike. 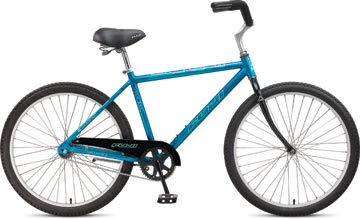 It comes with a single speed, coaster brake, padded handle bars, and extra wide tires. Perfect for little travelers 40"-48" tall. Comes with a free helmet. Training wheels available. New Lower Price! Boys will love pedaling around on this classic 16" bike. It comes with a single speed, coaster brake, padded handle bars, and extra wide tires. Perfect for little travelers 40"-48" tall. Comes with a free helmet. Training wheels available. New Item! 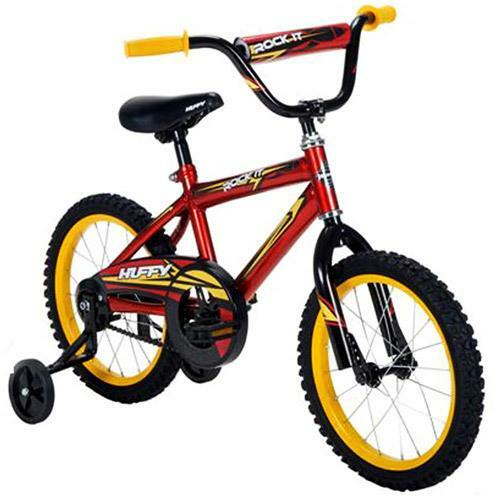 Boys will love pedaling around on this classic 12" bike. 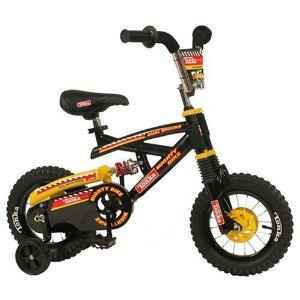 It comes with training wheels, a single speed, coaster brake, padded handle bars, and extra wide tires. Perfect for little travelers under 40" tall. Comes with a free helmet. 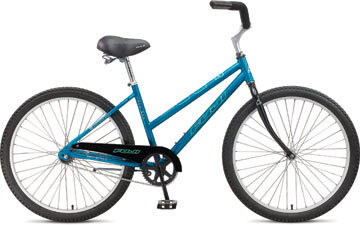 Cruiser Bikes are only delivered to locations in Pinellas County! Please Note: We are not equipped to provide roadside assistance in the event of a flat tire or mechanical breakdown. 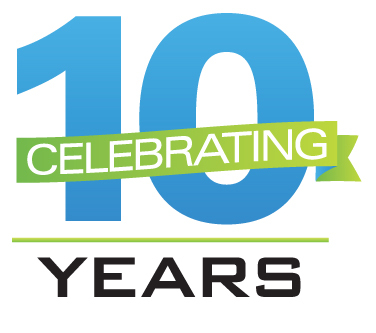 However, we will certainly repair or replace any bicycle returned to our store. It is your responsibility to make any necessary arrangements to return the bike to the store. New Item! 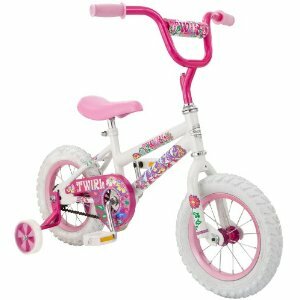 Girls will love pedaling around on this classic 12" bike. 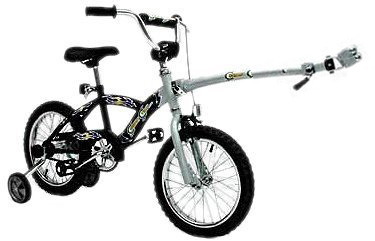 It comes with training wheels, a single speed, coaster brake, padded handle bars, and extra wide tires. Perfect for little travelers under 40" tall. Comes with a free helmet. 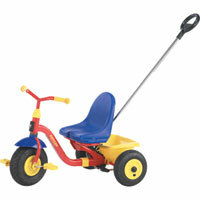 Our adjustable tricycle is sure to provide hours of fun. Perfect for little travelers, 1-3 years old, who aren't quite ready for "big bikes." Comes with a free helmet. Push bar is available upon request. Just the thing for a little traveler who wants to tag along with Mommy or Daddy, but doesn't have the legs for it! They can pedal the 20" wheels to help you out, or just coast along and enjoy the scenery. Not Currently Available. 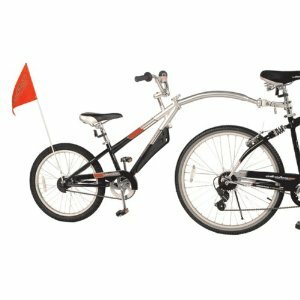 A great 16" tow-ready bicycle with fast and easy connector bar linking it to an adult bike for towing. 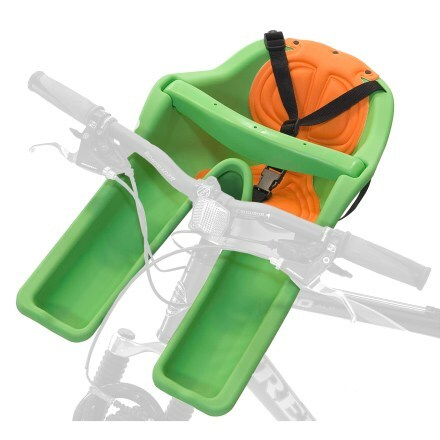 Detaches as a complete bicycle allowing little travelers the option of riding or getting towed. Comes with a free helmet. Whether you're going to the beach or down the Legacy Trail, both you and your little travelers will enjoy the comfort, and convenience of this handy bike trailer. Available with Cruiser Bike Rental Only. Your little traveler will ride in style while enjoying the sights in this front-mounted child seat. Safer than rear-mounted seats because the child's weight is evenly distributed. Available with Cruiser Bike Rental Only. Siesta Key's ONLY "Rent Here-Launch Here" Kayaks! These unbelievable kayaks weigh just 26 lbs, but hold up to 500 lbs! They feature a thick 33 mil Polykrylar hull, I-beam floor construction for extra rigidity, removable inflatable front and rear seats, a self-bailing drain valve, and two molded skegs so you go faster and further with less effort. 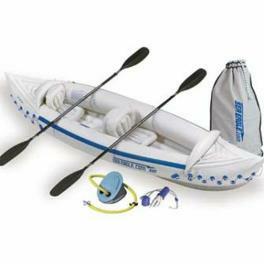 Includes: paddles, a dry bag, a foot pump (inflates kayak in 6 minutes), and a carrying bag...no more racks on the roof! Siesta Key's ONLY "Rent Here-Launch Here" SUPs! Now you can do what the celebrities do on vacation! 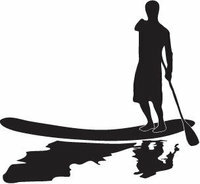 Stand Up Paddling, or SUPing, is one of the easiest water sports to learn...ever! Don’t miss your chance to paddle the crystal clear waters of the Suncoast. Includes a paddle and leash. Delivery fee may apply. Want to See the Sights in Style? 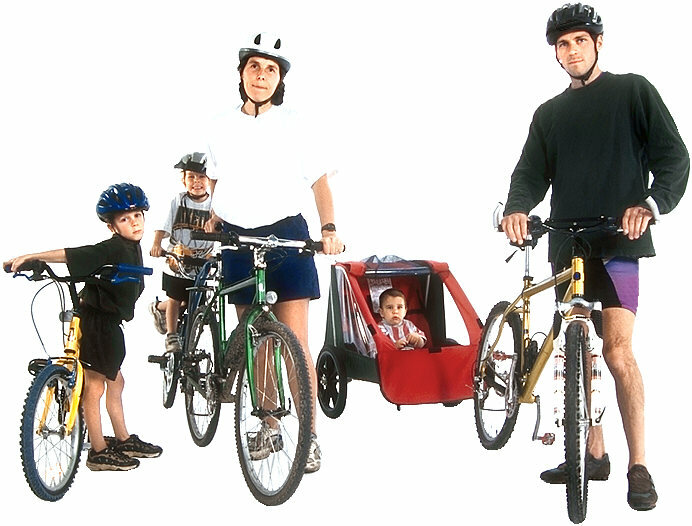 We Have Bikes & Trailers For the Entire Family! Prices may vary by location. Items may vary slightly from those pictured. All bikes come with helmet, lock & chain. 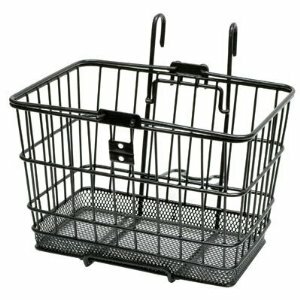 Removable Basket or Insulated Bike Bag...perfect for carrying your purse, towels, lunch or groceries.